A wonderful dinner on the Patio complete with a Five Course Menu featuring Fresh from the Farm – Produce, Meats, and Cheeses, Exquisitely Prepared, Served Family Style, and Matched with Superb Spanish Wines. 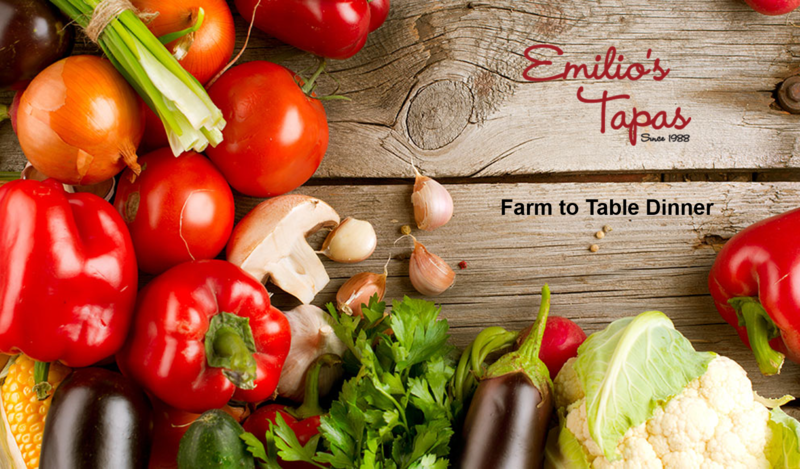 Our next Farm to Table Dinner will be in the Fall. Below is a description of this Fall’s Farm to Table Dinner which sold out weeks in advance and with rave reviews. Gather at 5:00 pm for Sangria, Drinks, and Passed Tapas on the Patio. Oh yes, and bring your own plate. Don’t delay. Seating is limited to only 45 guests and we sell out quickly.